Location: The Hammond Creek Trail is located in Jones Lee Park, 172 Lee S Jones Road off of State Route 93 S in Eddyville, KY. The park is managed by Lyon County Parks and Recreation. Trailhead: The main trailhead is on the right side of the park circle within sight of the main Park entrance. Park in the first parking area on the right. Description: The Hammond Creek Trail system includes 8 miles of single track trail for hiking and biking. The trail system maps are located at the trailhead and intersections. 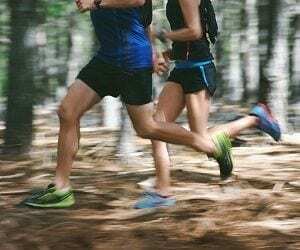 The different trails are diverse, and offer from easy to challenging loops, as the trails vary from gently rolling to challenging hills. The Green Jones Loop is the easiest. Yellow Lowland Trail is an easy flat flowing trail through the bottoms with some minor climbs around the foot of the ridge. The Blue Trail follows the Hammond Creek bed and offers great views of the creek and limestone rocks. The Orange Highland Trail is intermediate with two long and tall climbs. 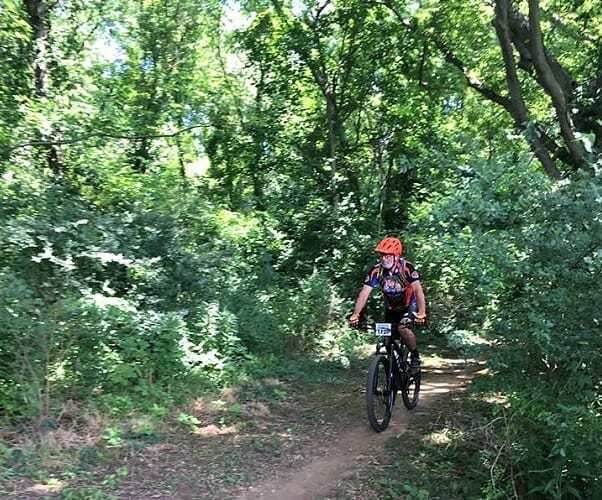 General rules include mountain bikers yielding the right-of-way to hikers, carrying out what you carry in, staying on the trail, and no motorized vehicles or horses. The trail system has great online reviews and a group of volunteers that continue to work and expand the trails.